The three were allegedly involved in torching trucks and a railway-track laying machine last month near Kamaloor railway station. RAIPUR: Four Naxals were arrested from two places in Chhattisgarh's Dantewada district, police said today. "Out of the four, three ultras were apprehended from Bhansi police station area, while another from Aranpur police station limits yesterday," a local police official told PTI. A joint team of Central Reserve Police Force (CRPF) and district force was out on the combing operation in the interiors of Bhansi, located around 400 kms away from here, he said. The patrolling team, while cordoning off a forest near Kamaloor village, spotted three Naxals. 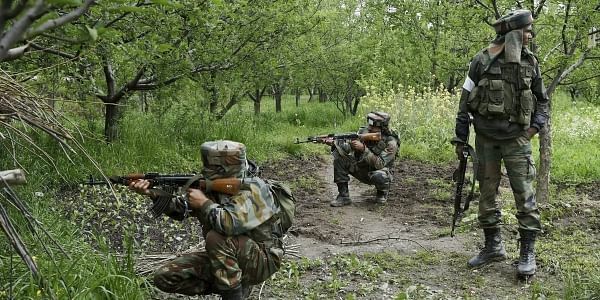 Subsequently, the team arrested the rebels -- Suresh Bhaskar (25), Manglu Bhaskar (21) and Jaggu Bhaskar (55) -- all active as janmilitia members, he said. The three were allegedly involved in torching trucks and a railway-track laying machine last month near Kamaloor railway station where track-laying work was underway on the Kirandul-Visakhapatnam route, the officer said. Besides, they were also allegedly involved in other incidents of dismantling railway tracks in the region, he added. In a separate operation, a janmilitia member, identified as Barse Bheema (21), was arrested from Rewali village of Aranpur, the official said. One tiffin bomb, 30-meter long electricity wire, batteries and crackers were also recovered from his possession, he said. All the arrested cadres were mainly tasked with arranging meetings and food for the Naxals, gathering information for them, damaging roads and spreading their propaganda, the official said, adding a probe was on.